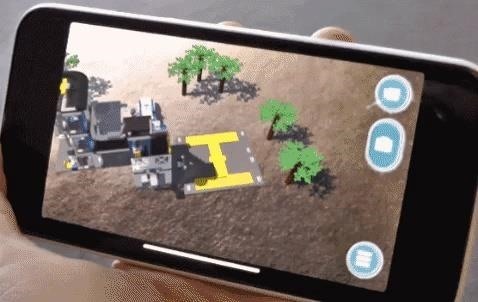 It appears that the new AR app from LEGO is inching closer to release. 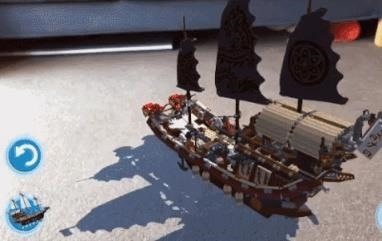 LEGO had the unique distinction of being featured on-stage by both Apple and Google to show-off the capabilities ARKit and ARCore, respectively. While the latter is still in a preview and available to only a handful of models, the former is supposedly ready for updated and compatible iPhones and iPads, but the app has yet to appear. 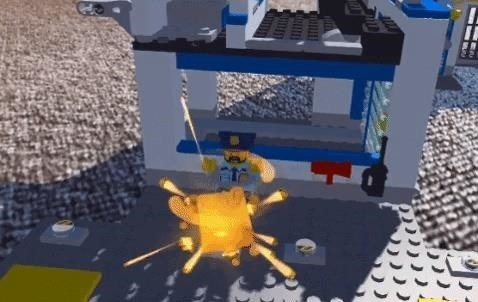 Finally, various reports have surfaced today with details of what the LEGO AR-Studio app will do when it arrives soon in the App Store. Using ARKit's surface detection function, users can place fully built kits in their physical environment, where users can observe the models from various angles and interact with them. In the police station playset, a mini-figures bustle about at various tasks. In a NINJAGO set, a dragon breathes fire. Users can also make firetrucks spray water from their hoses and navigate pirate ships in flight (yes, you read that right). YouTube channel FamilyGamerTV demonstrated these features via a preview of the app. The app adds some gamification, as players can search for and collect golden bricks. Players can capture all of the action in-app in photos and video. "We believe the best way to predict the future of play is to invent it. LEGO AR-Studio™ pioneers new possibilities for imaginative play where children can enjoy both physical interaction and digital engagement at the same time. This is one of many ways we innovate to combine physical and digital LEGO play into a fun and creative experience for children," Tom Donaldson, vice president of the Creative Play Lab at LEGO Group, said in a statement to Brick Fanatics. 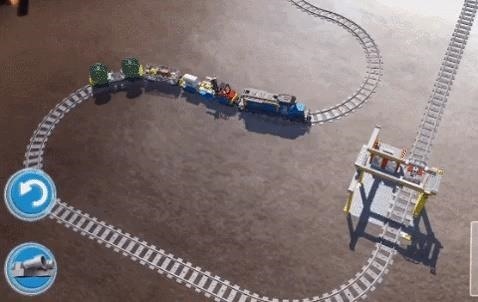 It appears that users can't build the kits in augmented reality, except for laying tracks for the train set. Considering construction is at the core of the LEGO experience, this is a strange omission, especially since they have demonstrated the capability via the discontinued Build with Chrome web app. Nonetheless, since this is augmented reality, you can pose your real LEGOs with the virtual ones. Three kits each from the LEGO City and NINJAGO lines will be available in the app at launch, with more models to come through future updates. And therein lies the ulterior motive; the app is intended to help push sales of the real play kits. Unfortunately, it is unclear whether the app will help explain to little Timmy why his LEGO City helicopter won't fly the way it does on the iPad. Despite the details and footage, we still don't have a specific launch date for the app.